Update 24 May 17: Once again updates are at a minimum due to the stalking and harassment I myself face – from halfwits. All too often I have louts who make a point of coming into my immediate area to stand and brazenly stare at me – their empty vacant gaze gets on my t-ts. This has happened 3 times in this past 7 days alone [and that’s only what I’ve noticed] – twice when I travelled to nearby towns, and another time on Sunday morning, when a particularly obese and mentally affected neighbour made a point of making me see her retard stare so as she could report back to her handlers “job done”. They make a deliberate point of letting me know I am being stared at [probably the point of this worthless exercise] – its not just for a few seconds, but runs into minutes at times, they then disappear back to under the rock they have emerged from. Of course all these dramatics are wholly insignificant when compared to what Carol Woods has to endure every day, which is testament and an overwhelming credit to her stamina and patience – how she does it I’ll never know, but she does and it’s to be infinitely commended. The question has been asked “how and what are they paid to do such dirty work – to stalk others at the whim of some deluded rogue government shill?”. I believe the answer to that is that many of these puppets aren’t actually paid with what may seem a reward – rather they are threatened – perhaps with loss of benefits – or worse – if they don’t kow tow to their master’s orders. I say “benefits” because a lot of the stalkers I’ve witnessed seem to be dressed as shabbily as one could be dressed – they are generally unkempt, unwashed even, and look like typical scruffy unemployable down-and-outs – the kind who seem to be unable to fit into society in general. Youths are used too – a foreign Arab-looking child paid far too much attention to me as I sat on a bus waiting for it to start up and go recently – this foreign youth had the audacity to sit astride his push-bike and gaze incessantly at me for what seemed like hours – it wasn’t of course, and if I could have been bothered I should have exited the bus and offered him my autograph, with a few expletives thrown in. This is exactly what they want of course, so I can be arrested for whatever – which may well be another point to these amateur dramatics. Many of the stalkers also, I’ve noticed, look totally miserable and bemused, as if they have no clue as to what they are actually doing, or why. They also try and look hard, but its plain to see they most definitely are not – they are idiots playing a role. Poor sods should get a life – they’re as much targeted as some of us I could mention, but they don’t even know it. We believe they are just told to simply go to a location immediately, and when at that location, find the target who fits the description given [this order probably sent via their mobile phone text message], and let the subject be made aware that he is being targeted via the moronic stare once he/she is found. Take a spare jumper or whatever and change into it somewhere along the line, out of sight, and their exercise is scuppered in an instance. If these poor puppets taking the orders don’t comply with their master’s bidding, they’ll probably receive a nasty payback in some form or other. Once that stalking and the staring is noticed and the mission is achieved, their play-acting is finished for the day and they crawl away to await new orders to harass someone else. I would assume this insane staring and drawing one out is supposed to have some negative affect upon the target, but, in reality, the events are so pathetic and pointless they have no effect at all on anyone and instead show just what a waste of time the louts and warped minds running these sad and stupid farces are all about. Below, in the latest update, Carol goes into greater detail regarding what she is having to experience from those around her, all with, it seems, the full cooperation and assistance of the local police and other authorities who command the numerous lowlife stalkers she is surrounded by. Not only do these backward folk she is surrounded by steal her phone and internet delivery lines running into her house, by diverting the said services to their probable ramshackle homes, they also steal her electricity too when they can, and much more. Carol has lived by candlelight in her home for years because of these lowlives’ thieving alongside her home – many of them doting and ageing pensioners who steal her services, because they’re told to by fake authoritarian figures who should be in prison rather than be sitting pretty in a government office somewhere local. Fake IDs pay for it all through fake bank accounts – all funded by the general public, as are the new cars given as rewards to certain neighbours – the road tax etc for these cars also paid for by the UK public, as are the “Blue Badge” schemes many of these cars are concessioned with – all fake but paid for out of the public purse. Authorities do nothing when told about these scams – how much longer can these outright crimes continue? Regarding the internet and phone lines running into her abode: Carol even witnessed the rewiring of such to cater for their thieving when she came back home from being out – the lines being diverted into her loft where the neighbours connections take place, and thus the ability for these thieves to steal these services. Does any authority – including local authorities too, such as the local council – do anything about any of these blatant crimes? No, they don’t. Why? Because they’re involved in it all too! I myself have had running battles with the CEO of Royal Mail when trying to report severe irregularities – crimes even, regarding Carol’s mail being deliberately delivered to totally different addresses alongside Carol’s home, as Carol herself has complained many times also, going back years. Nothing is done at all! The response from R Mail’s CEO recently was lamentable and very much lacking – more than likely he had no say in anything either – he, too, was told to follow orders as the lout neighbours are in Carol’s immediate vicinity. As for these loutish neighbours, it’s hard to argue when someone wearing a police officer’s uniform making out they’re a police officer is breathing down one’s neck giving one preposterous orders to harass and hurt a fellow citizen – but harass and hurt they do, putting aside any semblance of conscience or right thinking. Perhaps the gift of a new car or two – paid for by us taxpayers – eases their conscience and helps these sad characters turn the other cheek and stalk so brazenly someone who devoted her entire working life in service to others – as Carol has – trying to help children especially. These lowlives – and the ones controlling all this bs – have much to answer for, and let’s hope that day comes soon when they get their comeuppance – no one likes a corrupt traitor, especially those who are in the positions they’re in, whose sky-high wages are paid by the UK taxpayer…US! Damn them all into the very abyss itself!!! It is completely unjust and unfair that I am refused reporting – by 3 separate police forces – serious crimes, as correspondence, or rather ignored correspondence to these 3 police forces, show. If one complains to higher authorities about this completely unacceptable situation, it is more than likely the targeting I am experiencing almost on a daily basis would escalate to an unacceptable level, causing me to fear for my very own life. Fact. Updates from Carol Woods are not appearing and diminishing in number here because of this very reason. It is a great shame Carol does not get support from other so-called “activists” – or whatever one wants to call them. Trees are known by their fruit, is that not so? The question has been asked: “why would the “Powers That Be” target someone such as Carol Woods for so long [since 2006], involving so many perpetrators, committing so many extremely serious crimes, funded by the public and local council taxpayers?”. 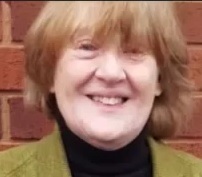 Carol Woods is a 63 years old former Lancashire County Council Level 3 Social Worker and Child Protection Officer [who used to train social workers] and a former Probation Officer, amongst many other attributes. Perhaps the appalling and chronic targeting she has no choice but to put up with is because she reported numerous seriously grave irregularities she discovered, including child abuse, when being employed by this county council, as described in the “IMPORTANT VIDEOS” at the foot of this post, and also because of what Carol has reported, especially here, from Feb. 2007: “York LGO Blog and Lancashire CC” http://criticalreader2006.blogspot.ae/. More is described here: “Harassment as punishment for whistle-blowing: Lancashire” http://criticalreader17.blogspot.ae/2017/02/harassment-as-punishment-for-whistle.html. And why is there an illegal tracking device installed in Ms. Woods car – put there, apparently – by Lancs. police? The Chief Constable of Lancashire has been written to so many times about so many serious matters with no response it’s quite remarkable. Another 2 chief constables have been written to asking can serious crime be reported to them also with no response whatsoever, and I have tried on more than one occasion to notify my local police about serious crime to be totally ignored also, which is just another public scandal! Subject: FRAUD LA2 9RP Embezzle public monies. HARASSMENT. Sirs, NOTE THIS, it will be used. I am sick and tired of your thieves and fraudsters, deluded half wits and bullying lowlife round Fell View LA2 9RP and adjoining streets such as the pair of old fraudsters swapping car plates to different cars in 2 and 4 Quernmore Road, so deluded they think they now work for MI6. I appreciate that they have no life outside of harassment and thinking they are MI6 but they can get their lives filled by other means than harassment. Agnes Jackson in 26 who pretends to go out but sneaks in at the rear, and all as reported from March 2014 when I found within hours what fraudsters and worse I was “living” among. ELY all with lots of NEW cars, and the rest. The child abuser was moved out of 23 and NOT dealt with. O’Conner in 39 are certainly abnormal at best. There are others. For brevity I record just this evening after a day of lunacy pretending I was in a court or had just LOST MY HOUSE etc etc which is done at least 5 times a week. The bullying and harassment will be paid for; you can bank on that. You have had your warnings in writing as have lowlife round Fell View. There is such as the roughneck in PE64 HMG also to be accounted for. Who paid her to pretend to move someone from Langdale on Sunday this week? This to Blue Badge fraud: we cannot have one law for Lancashire and one for the rest of the country. I return about 9 30pm and PJ65 WLL, registered to me with the DVLA mail sent to me in regard to that stolen by Jackson in TREASONABLE OFFENCE so this to the Gestapo again and wider, not parked. I find the foul loud mouth unemployed lowlife moved to 34 Quernmore Road where the Gestapo visit socially and who uses 34 Fell View with Ian and June Blenkinship caught out using their INTERNET with links to ME in 28 via the illegal devices, claiming in FRAUD and pretence that she using 34 or 36 or 38 (all the same lowlife thieves and fraudsters; birds of a feather collecting together) where they make phone calls as if it is MY use when I have no phone. 43 plus the deranged in 41. The yob sent to do just that in his RED Vauxhall GY09 XCS and caught red handed again on 22 May 2017 reported and now he is replaced by the foul mouthed unemployed with PX02 FSK. I FORMALLY REPORT THE DRIVER OF PX02 FSK for harassment, e-crime and intent to defraud plus conspiracy with others mostly in 34 Fell View. Under the Protection From Harassment Act 1997 I am not obliged to give more warnings. Thus I return to 28 Fell View and the old stalker and pest WILLIAM BLEASDALE with his plans to use the sleazy in PL02 THK again (6 drivers for one car: I assume it is a council pool car) thinks he’s man enough to intimidate me along with the old trolls from Quernmore Road trying to act out again events of the past in their delusions that I will think I have not seen them previously thus must have just moved in again. The foul loud mouth sent to try to provoke me weeks ago failing but still trying, was parked and PRETENDED that she was my daughter in gross insult to me. She left her car (how does that unemployed troll manage to run a car and not sign on as available for work?) and went to 34 to use the Internet for when I switch on my mains power. I have my mains power on very little, if at all and WILLIAMS I hear testing the sockets minute by minute to see when my power is on. They are often disappointed. The TV they have, their SECOND SKY TV in their sitting room IN MY NAME PAID FOR BY DIRECT DEBIT AS IF THEY ARE ME has been switched off much more now; she had that on 16 hours a day for over 2 years until I found out it was all in MY name. And that roughneck and dullard Mrs Williams reading what I type as set up ready for my moving in: E-CRIME so formally here reported NOW again. The frauds and more will be dealt with. The use of such as EMCOR to sit with Jackson in 26 recently and pretend that he was dealing with her as NEW tenant was pathetic. That is also on camera. All her antics are on camera including the Gestapo removing the decommissioned equipment installed in 26 ready for my moving into 28. I reported suspicious activity with Pk62 NXJ what Williams had when I moved in and suspicious use of PF08 WDJ from 32 and was right about both. I saw the freemason harasser HAYES driver at 15 Fell View to cover for what I have sent out as FRAUD and more using flat 15 Penhale Gardens so that seedy old thief in Flat 15 EDITH CURWEN has to be covered for using EDNA SCOTT as if a jury will confuse CURWEN and SCOTT and EDITH with EDNA. Now 15 Fell View is to be used with the van sent in lunacy trying to link anyone where it is somehow linked to me with my teaching qualifications and experience of horticulture. The van is sent for in times when the Gestapo lunatic fringe has an “idea” and it has been used at the roughneck Nolan’s in 17 when she claimed to drove me about as if I was her mother. Thus we had by 9 40pm 15, 17, 30, 34, 36 and 26 all “in action” and Bleasdale, 2 Hall Drive who, I have found out has been pretending that I am dropped off at his house for him to them move me to such as the bullying lowlife in 2 Milestone Place. PL02 THK is ALWAYS used on those occasions such as today which I filmed. I have never hidden the fact that I film the deliveries in fraud, the stalkers and harassers, the sleazy council calling to 41 etc to pretend they deal with an invisible person being cared for and driven about by such as the demented Jarvis. Jarvis of course was to be involved: in a feeble attempt to rewrite their frauds of Oct 2014 into Nov 2014 when they “forgot” to take Mrs Invisible on holiday with them, then the repeat of late Dec 2014 into Jan 2015 with WILLIAMS away for 2 days as MR and MRS C WOODS in PX14 LRJ bought IN MY NAME plus the use of the sleazy in PE08 ZRX who pretended that Mrs Invisible had spent the end of Dec and into Jan 2015 with her and thus she with her husband returned Mrs Invisible to Jarvis in 41 which I managed to get on photos. Mrs Invisible does not show up very well. The shopping frauds using PE08 ZRX and PE56 NXB with Jarvis is all on film and thus, this evening, Mrs S Jarvis was back in action being dropped off by a red car NOT PE08 ZRX but she pretended she was me being dropped off. She had been told to wear something that sounded by description to be what I wore; believe me, I would not wear anything she is likely to have in her wardrobe. I eagerly wait for the hot weather in JUNE when Mr Jarvis will have to walk about in a fur hat with ear flaps to pretend he has hair and is my husband from the 1970’s as he did in 2015, also on film; that was so they could also be Mr and Mrs Woods. The seedy council troll in LT59 FGN is on camera stalking me and of course, each time she is at 41 pretending whatever the next fraud is to be. While sitting in my car, ready to go out again, watching the deranged jump through their hoops I was not surprised to see “carer” sneak out of 14 Fell View and her car YL05 KXE but she was one of 2, the other HID with her car. She was driving my way as I returned to the University, and I saw her alight, another overweight, scruffy dollop not fit to care for a dead budgie but pretending that lowlife in 14, McGUIRE and STROUD have someone invisible again to care for and drive about. THEY DO NOT SIGN AS AVAILABLE FOR WORK BECAUSE THEY ARE PAID TO CARE FOR AND DRIVE ABOUT AN INVISIBLE PERSON ALL SET UP AT TAX-PAYERS EXPENSE IN EMBEZZLEMENT. (The file on all this is almost ready for NAO. They asked for the file, I warned you and you thought you were untouchable with the Gestapo and the lunatic in residence as your legal rep.) Moving into Fell View, I have on film a fat lump of an old woman posing as NHS, she with a hairdresser overall on and calling to 12 Fell View to PRETEND someone in a wheelchair needed care and driving about which is how that thief, ELY, came into “sudden wealth”. There was the YEAR at least of lowlife such as CATHERINE ROWBOTTOM of 2 Copy Lane in ML53 TWJ and VN53 APY plus BK53 EWE also not signing as available for work, dressing in hairdresser overalls and pretending that 29 and 31 Fell View were a hospital where they worked. The lunacy in then sending medical supplies etc is all on film; in fact there is very little not on film. Thus I left to go again and none of the lowlife, thieves and fraudsters is near me as I look around so I guess they are not me at all. This will be paid for, nothing is more certain and I will testify. That is also certain. To be clear; lowlife in 2 Fell View, WOODRUFF used for almost 3 years in serious E-CRIME claiming to be ME and my daughter. The car used by male in 10 Fell View to stalk but I think he does work from time to time, name unknown and not really a serious problem. BUT, IS HE PAID WHEN HE IS USED? 12 Ely we know about and their frauds, stalking and purchase of cars plural yet not a days; work between them. 14, Ditto Stroud and McGuire. 18 Marjorie Hodgson stalker and shopper in fraud using a person she thought could be mistaken for JUNE WILLIAMS to pretend that person was me needing to be taken shopping and thus proof Williams was me. For those CC this, Hodgson was used as she has the same name as my sister so she thought she could easily defraud and not be found out expecting others to be as blatantly stupid as she is. 20 and MILLS with the squalid caravan dumped on the front of 20 to then allow her, unemployed, to claim that her aunt lived there and she cared for drove her about. The aunt was ME. And that thief Mills, a liar and bully at very best was paid for over 2 years in that when they ALL knew it was fraud. William Bleasdale from 2 Hall Drive drove the invisible aunt to move to that caravan in his red Audi, on film WG03 DMW. The squalid eye sore (I reported the environmental health) no windows in one side, no running water, no power, no washing no nothing and the Gestapo calling socially seeing all that PLUS sleazy council hiding to then sneak off when I drove off my in my car they to pretend they had called to see the “aunt”. 22 HUNTER who were paid for a year as if I was HIS mother being cared for an driven about and then found out, they simply decided I was HER mother and then like Jarvis and others, they decided they were me. It went on; they are just examples and they ALL have at least 2 large vehicles, deliveries from ASDA, TESCO, ARROWFIX, RINGTON’s DPD, YODEL, PARCEL FORCE, and so on, other supplies and all on film and all delivery agents say there is fraud but they can do nothing until the police act. The banks involved ditto. DALTON claims now to be WHEATFIELD and they used an unborn baby in perjury trying to make an alibi for themselves and then used that baby once recently to try the same. More unemployed. Aiding and abetting is a criminal offence so this copied to the right agencies. It includes the Gestapo given I report more E-CRIME with INTENT. I await incident numbers for the E-Crime reported. Carol Woods MS. No wonder there’s talk of LCC being bankrupt within 2 years. It matters not whether Tory or others win the election: at the rate of defrauding the electorate, it will make no difference to who is in power. Subject: Lans police delete death records. I have resent this to the ICO, I have not even had an automated response. This email shows EXACTLY what Lancs Gestapo stoop to but it also shows why they want me to someone else and allow others to be me. It also shows that others are not me. Can I add that G4S thug sits outside Lancaster University library where I was followed to after the usual fraudsters all pretended to have met with me IN AN EARLY CINEMA SHOW. The G4S thugs have pestered me from 2012 esp. His car is LO16 JSZ so that identifies him. He will be pretending something to suggest I am someone else. He has sat there for over 3 THREE hours doing nothing: staff on duty say they have no idea why he is out there. I guarantee that this is the lunatic wing of Lancs Gestapo who try to make 23 May 2017 be somehow 23 Oct 2008 when “officer” Tracey Kennedy (Lancaster) posed as me in Liverpool Magistrates Court on a matter that only I now have records for. Whatever it was she ended up LIVING IN MY HOUSE after it was seized, wrecked and looted on 27 Oct 08 and 19 Nov 2008. And no, I was never “too disabled” to live in my house so sold it, I have not rented it out, I have never owed money and am not bankrupt; those who pose as me pose as me, they are not me although at least one who the Gestapo provide ID for as if she is me, she being JUNE WILLIAMS of 30 Fell View LA2 9RP is bankrupt which is why they want her to be me. Thus that leaves me to be someone of their invention. And the G4S thug now harassing will be part of that. Feel free to quote me, Carol Woods Ms. Under duress at 28 Fell View Caton LA2 9RP sorry I have no phone and mail theft is rife. Dear Sirs, I seem not to have heard about serious matters where public records in my name appear now not to exist making it seem as if I make up events that have happened to me such as at least 14 wrongful arrests and false imprisonments where no one seems to have any records (MoJ and Police) but I am sure you will get onto that sooner or later. I wonder now if you can help with this matter. In late 2011 I went to see my mother’s crematorium plot but could not find it so asked staff ASHTON CEMETARY/ CREMATORIUM in the Oldham area. They checked their computers knowing the date of her death and cremation was computerised. There were no records. I had to go to the main office in Oldham and they had no records. MY mother was not dead apparently. In 2012, on 28 June 2012 to be exact I found an old woman instructed by the police to claim DWP monies for carers as if she was MY DEAD MOTHER but using MY name, I was then MY own dead mother. I found that as I moved to another address, she had not been the only one. In late 2014 I found that an old woman also instructed claimed to be my dead mother and that I as her daughter drove her about in a FRAUD. That fraudster drove herself about. My mother has been dead over 20 years. I daren’t tell my brother, he’ll be so upset but my sister was with me in Oldham records office so she knows. Obviously we have the papers generated after any death and funeral but the onus should not be on me to prove my dead mother is dead and not the horrible old trolls Lancashire police are using to try and link them to me. I know you couldn’t get involved with some of this such as the DWP fraud and ID THEFT etc but my mother’s name is being used is FRAUDS for gain for persons total strangers. Is there anything you can do? This is all part and parcel of the massive fraud I am left to deal with myself.